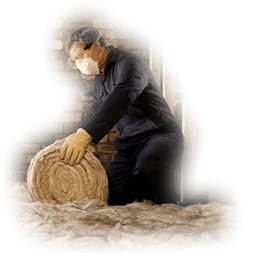 Insulating a house is very important for energy efficiency.Insulating Roofs and Ceilings is quite hot and physical work, so please remember that roof cavities can warm up significantly in summer, so do take care to assess the safety of your working environment and act accordingly. Step 1 – Place the packs onto the roof area. Start from the farthest point from the manhole and work from one pack before opening the next. Step 2 – Stand on joists only, fit knee board over at least two joists. Fit batts snugly between the joists, using your batt poker to slide the batts to the outside edge of the wall plate. Ensure batts are fitted with no gaps. This entry was posted in Insulation Tips. Bookmark the permalink.